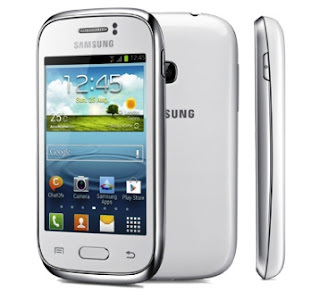 Another release from Samsung Mobile, the Samsung Galaxy Young (S6310). Built for handling comfort, feel the curve on its behind with stylish and matte finish smartphone. It is also slim, measuring to 12.5mm body, and weighs 112 grams, it is very light that you can feel nothing in your palm, just be sure not to slip it in your fingers. Samsung Galaxy Young is not only young in smartphone industry, at the same time it is also powerful, bringing the speed of 1GHz single core processor, and among the Samsung mobile line up, SGY (S6310) has the highest amount of RAM on its price family, equivalent to 768MB of RAM, you can surely apply multitasking and fast app switching. Featured with Motion UI, which basically lets you control SGY based on its position and motion, like turn over to mute, and shake device to look for Bluetooth and WiFi. Specification and price are below. Priced at Php5,490 | Available now in the Philippines nationwide.